But there is in I-beam! 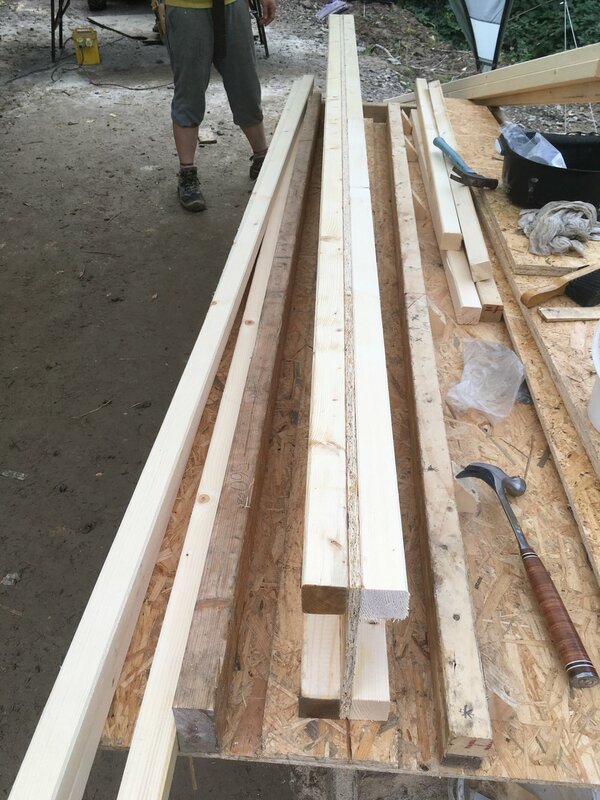 We were quoted £7,000 for the I-beam for the floor joists pre made. This would have been most of the £10,000 budget! 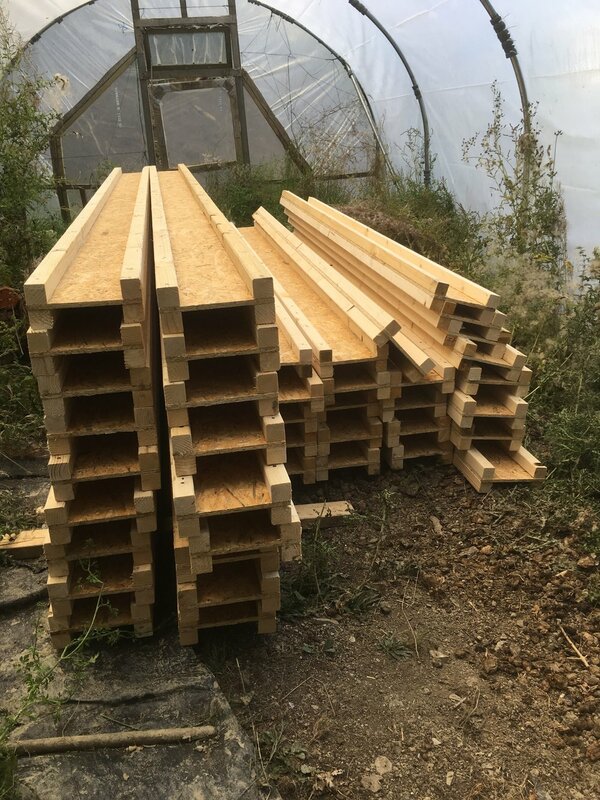 By making them our selves we spent £100 on cascamite wood glue, £200 on 2x2 timber, £500 on 12mm OSB 3, and maybe £20 on nails. 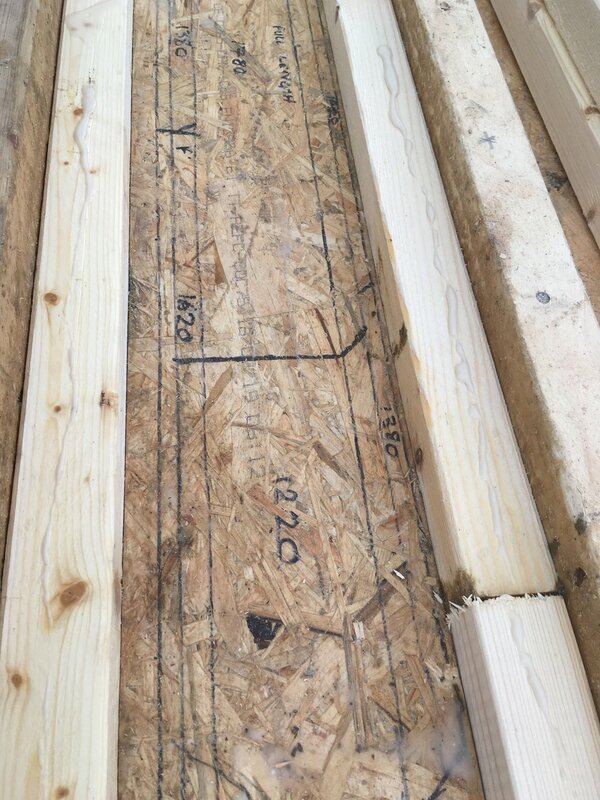 That’s roughly £820 + labour to make all the rafters and the floor joists. Quite a saving I think your agree! Please note that these figures are rough and based on our 30m2 build. Therefore figures should be used as a guide only. 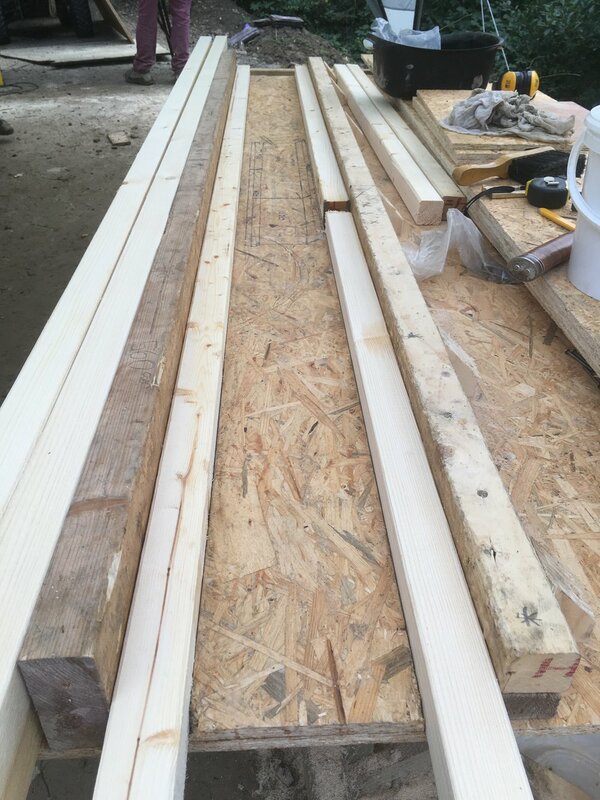 o Insert 2x2 (50x50) timber into jig, spread glue on 2x2, ready for OSB3, lay OSB3 on top in jig. o Dove tail nails at 400mm centres (50mm nails). 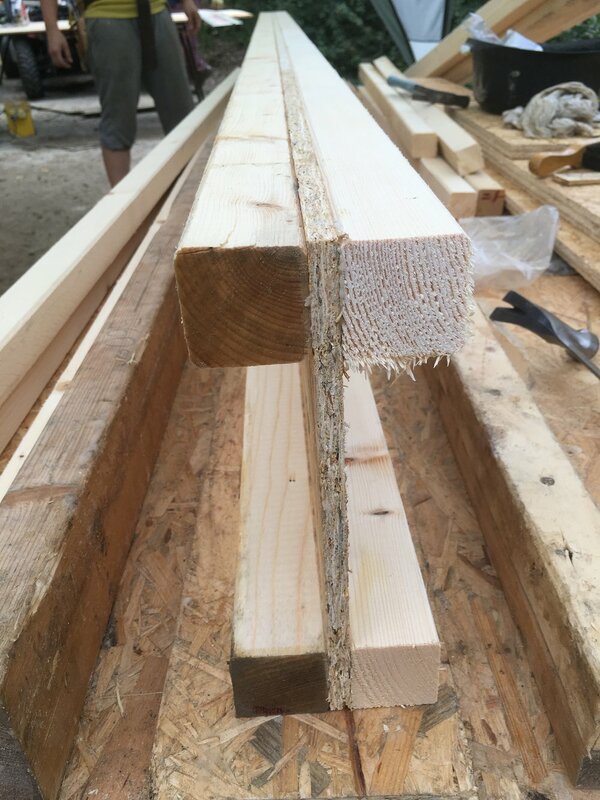 Make sure 2x2 joints & OSB3 joints are staggered.